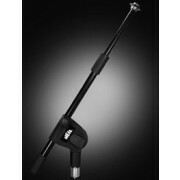 The Heil Sound SB-2 Small Boom is ideal for mounting your Heil microphone in tight quarters. It is also ideal for interviews. Compact and yet rugged, the SB-2 Small Boom fits easily into many briefcases, allowing you to carry the SB-2, the mounting C-Clamp, and a slim-line microphone like the Heil Sound PR20 almost anywhere. 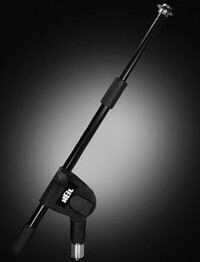 The Teflon® stem of the SB-2 is removable, and the Heil SB-2 will screw onto a standard 5/8" - 27 threaded microphone stand. A cable management clip is molded to the side of the SB-2 to handle your microphone cable. The SB-2 is shipped to you with our 'stealth' C-Clamp using our exclusive brass insert.